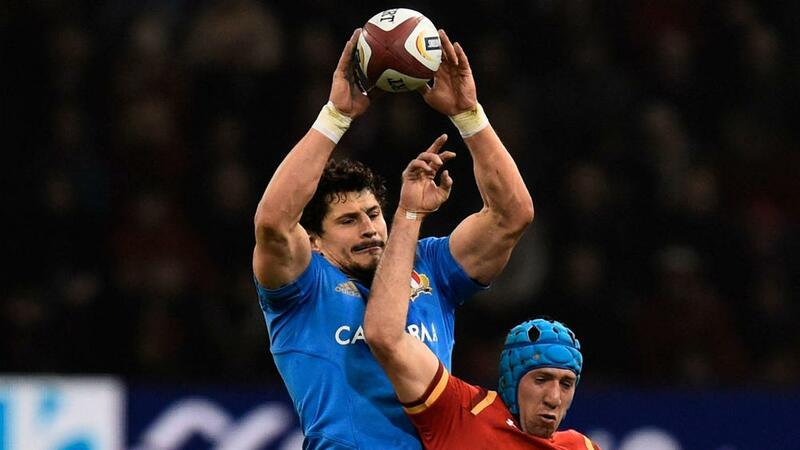 Italy have selected seven Six Nations debutants for their opening match at home to England on Sunday, when lock Alessandro Zanni will win his 100th cap. Head coach Conor O'Shea has opted to field an inexperienced starting XV at Rome's Stadio Olimpico, with nine players having won 10 caps or less. Fullback Matteo Minozzi, centres Tommaso Boni and Tommaso Castello, forwards Dean Budd, Simone Ferrari and back row pair Sebastian Negri and Renato Giammarioli will all feature in tournament for the first time. Zanni, meanwhile, last played for Italy in March 2016 against Wales. Though the side is lacking experience, there will be a familiar face at captain, with Sergio Parisse set to skipper the side for an 83rd Test match. Italy XV: Matteo Minozzi, Tommaso Benvenuti, Tommaso Boni, Tommaso Castello, Mattia Bellini, Tommaso Allan, Marcello Violi; Andrea Lovotti, Leonardo Ghiraldini, Simone Ferrari, Alessandro Zanni, Dean Budd, Sebastian Negri, Renato Giammarioli, Sergio Parisse (captain). Substitutes: Luca Bigi, Nicola Quaglio, Tiziano Pasquali, George Biagi, Maxime Mbanda, Edoardo Gori, Carlo Canna, Jayden Hayward.